New Zealand Tribute to Dr Robert H Schuller. Great Christian Possibility Thinker. 1926-2015. “Theistic Faith is Optimistic and springs from a Possiblity Thinker, whereas Atheistic doubt is Pessimistic and springs from an Impossiblity thinker”. 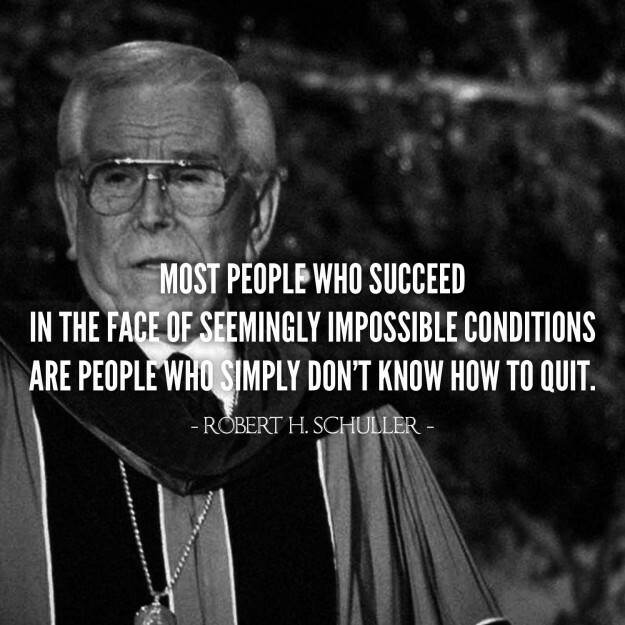 Robert Schuller﻿ Senior. It is with both sadness and pleasant memories, that I and my wife joy say good bye to a wise old Christian, whose ‘Hour of Power’ brought inspiration and faith into our Non-Churchgoing lives. For years his ‘Hour of Power’ was our TV church. Now Dr Schuller was not a 1611 King James Guy. He was not an exponent of Dispensationalism. He was even lacking in preaching the Gospel of grace… yet still I say he was a Great Christian man, and one of my Spiritual Fathers. 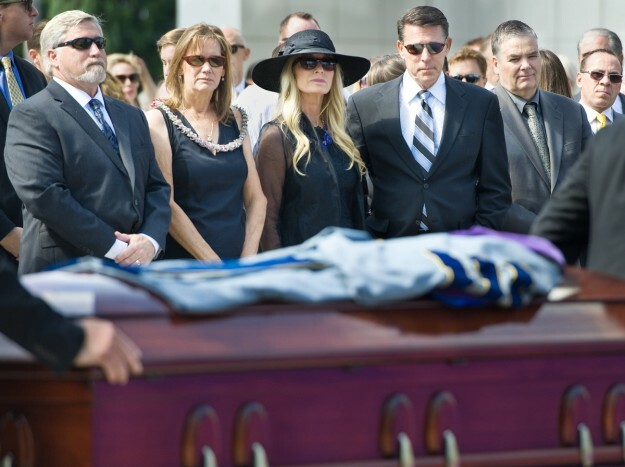 He reminded me very much of my own Grandfather… John Steel Clark… and that is how millions of people around the world saw him, as a Caring and Wise Christian Elder. God creates Individuals each with specific contributions to make, so that all knowledge, all truth, all the godliness and virtues of Christ do not reside in any one person/ sect. We are all single members of the Body of Christ. I Add Dr Shullers personal contributions to Christian Thought as one of the necessary pillars in my Ideological Fortress. His is an ideology to help us master our Psychology, and steer us towards bold action and positive outlook. To his credit Dr Schuller was very Libertarian in his Political Ideals and beliefs about Voluntary action in the pursuit of values. His Sermons were inspirational calls to action… to pursue your God-given visions and dreams. For the Bi-centenary of The Birth of America, Schullers Message ‘I am the American Flag’, was an Epic on Freedom and prosperity… as long as the Morals of the people do not themselves ‘flag’. Freedom is only fit for a people of strong Personal values and Self governing Self reliant ethics. Unfortunately Later deliveries of that great speech have been trimmed down to the extent that they do not do justice to the Libertarian theology in the original. Years Before facebook, … Joy and I would share with our Battling Kin… positive insights we had picked up from watching Hour of power on Sunday morning, or comment on what fantastic musicians, Choirs, etc… we enjoyed very much. Robert Schuller built his ministry from the ground up into a global audience. I do not know the details of the eventual collapse of his TV ministry, so I wont make any comment on that. What I will say is that irrespective of that unfortunate end to his ministry, his character, example, and intellectual contribution to the faith building self reliance , tolerance, Christian thinking of his day is secure. I believe his greatest legacy will be found in his Children and Grand children. 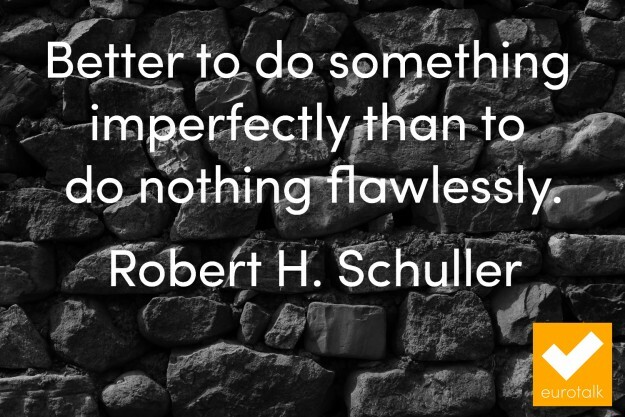 The Schuller family are and have always been Exemplary. They were a Pillars of strength in America’s darkest hours after 911, and no doubt we can continue expect great things from them. Robert A Shculler’s Hour of Power message “God’s truth is Marching on” is an Inspirational call to America to Keep Strong in faith, esp in Religious liberty. I pray God’s grace and providence remains upon them. Dr Scheuller in New Zealand. A great orator like Dr Schuller must have been used to having a few Zealots in the crowd… and so it would be when he came Down under. I have my own Robert Schuller story. I met Dr Schuller very briefly in about 2002. Joy and I travelled up to Auckland to see him at a large Central City Church. Several 1000 people in attendance. Joy and I are Big fans of the Schuller family, Though we have always thought Dr Schuller needed some ‘encouragement’ regarding The Gospel of Grace, The King James Bible Issue, Dispensationalism, and Libertarianism, and I would not let this opportunity pass….so I had packed a small pile of pamphlets and small ‘tracks’, etc to give to him. The question remained as to exactly how I was going to achieve ‘the drop’. The Schullers had been a source of Moral Spiritual support for the American people directly after 911, and in the War years that have followed. Back then there were Anti-American terrorists and Jihadists, hiding on every grassy knoll. The Program we had been given told everyone to remain seated when Dr Schuller exited. Well…. the moment was fast arising, and Joy ribbed me saying that if I was going to give him the package that I had better do something fast… and Being a subscriber to ‘Possibility thinking’… I decided I would simply break the rule of remaining seated, and walked up out of the Auditorium over to the exit. I called on God to bless him, and America as he was getting into his car. Possibility thinking may involve some risk, yet can get spectacular results! I got to shake Dr Schullers hand. I Figure he would forgive me for being cheeky enough to ignore the Rules. I was ‘Optimistic’ and opportunistic. What he did with my gift, I have no idea. I had Fulfilled *my Part*… my moral duty to put the goods into his hands. It was now up to God to inspire him to read it. Insignificant as this tale is it actually is descriptive of how his teachings have moulded my thinking and motivated me to action and activism. Dr Schuller is one of my Mentors whom has been helping me get out of my seat for the last 15 years. Robert Schuller’s legacy will continue through his Children, and Grandchildren whom in many ways exemplify Enlightened Christian character, and through his fans as they continue to share his Humanity, His wisdom, his Possibility thinking. He will continue to be a source of my own resolve to always be an optimistic chaser of of big ideas and visions. His Son Robert Jnr says on Facebook “My Father is now in Heaven with Mum”. 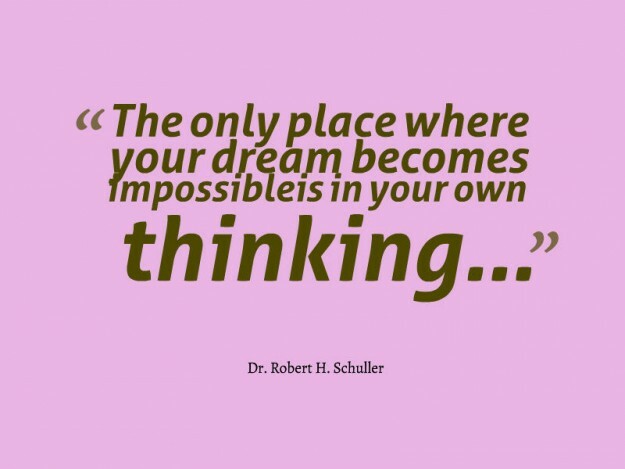 Thank you Robert H Schuller. Bobby Schuller lifted up his chest and enunciated those words in a booming voice – exactly as his illustrious grandfather had done for more than half a century opening the “Hour of Power” program every Sunday, beamed across the globe to millions. 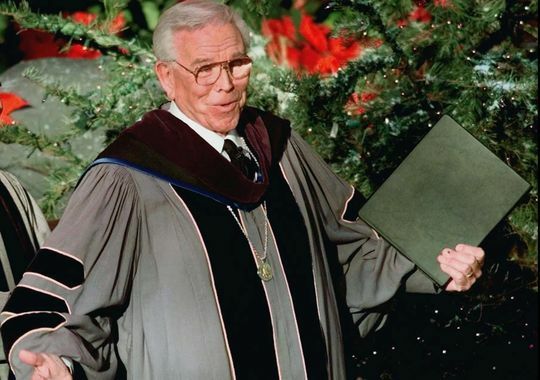 The more than 2,000 attendees at Crystal Cathedral founder Robert H. Schuller’s memorial service Monday morning, who packed the Christ Cathedral plaza in the shadow of the gleaming glass tower and sanctuary, burst into laughter, tears and thunderous applause…. This memorial touched me. My first job was working as a letter reader for Robert Schuller Ministries. I had never heard of him before — I just moved to the area and as a young but unskilled Christian, it seemed like a good gig. I have to say that my own opinions on him are mixed. On one hand, there is the lopsidedness that you talk about. (I was a catechumen in the Orthodox Church at the same time, and eventually, I quit the job because his religious messaging was just too off base for me.) BuIt on the other hand, I think he was genuine, and that’s more than you could say for a lot of televangelists. And I came to see that there were people that went there because it was a stepping stone for them. They desperately needed his upbeat, hopeful message and weren’t ready for any of the harsher aspects of the spiritual struggle. I have thought about him and his ministry over the years. Maybe it’s only with the passage of time that I can be less of a critic and think that possibility thinking might have some real merit, as long as people don’t mistake it for the end-all and be-all. But anyway, I’m glad to hear someone have nice things to say about him. I like the story about giving him your package. My very limited access to him tells me the same thing you noticed — he seemed to like to meet people and didn’t appear to consider himself a big shot. I think by God’s grace, he may just have done a lot of good in the world. Thank’s for your insightful comment Grace. It’s a pleasure to converse with some one who worked ‘with’ him, and hear your observations. He really was a Great man.